Already signed up to participate in the nation’s only communications platform purpose-built for public safety are: Alaska; Arizona; Arkansas; Hawaii; Iowa; Kansas; Kentucky; Maine; Michigan; Montana; Nebraska; Nevada; New Jersey; New Mexico; Puerto Rico; Tennessee; U.S. Virgin Islands; Virginia; West Virginia; and Wyoming. Puerto Rico joined the initiative late last week, as this media outlet reported. Both AT&T and FirstNet have committed significant at least $40 billion to improve communications among first responders and members of the public safety community. With an opt-in decision, FirstNet, together with AT&T, bears the financial risk associated with the network build in such state or territory and will require no additional financial resources from the state or territory to deploy or operate the network. 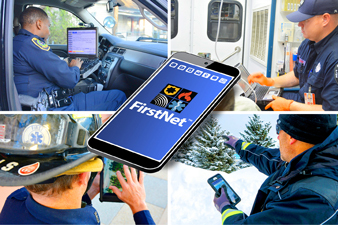 The FirstNet network is the only wireless, broadband network specially designed through consultation and feedback from public safety to ensure it meets their current and future technology needs. In mid-September, FirstNet plans to issue updated State Plans to states and territories refined by additional stakeholder feedback. Hey Buddy!, I found this information for you: "20 states, territories opt-in to FirstNet initiative". Here is the website link: https://newsismybusiness.com/territories-firstnet-initiative/. Thank you.